I love the “Social Media Explained” meme on the Internet. Oops, there is nerd-term #1. A “meme” is an ongoing “inside joke” on the Internet. 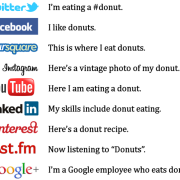 Google “social media explained” in Google images and you will see dozens of versions of the image above. Pardon the pun. 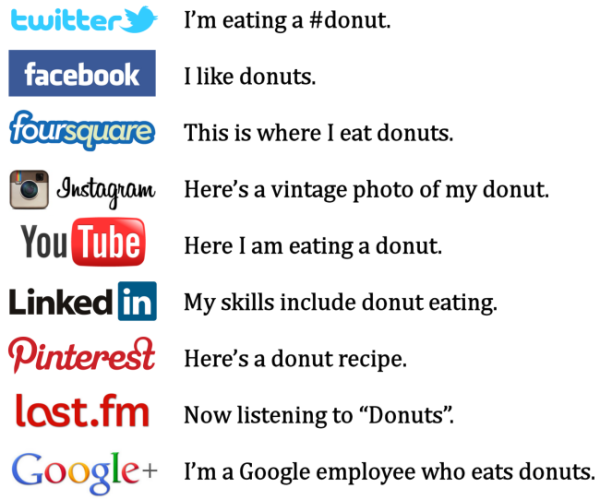 People have done this graphic with running, and tons of other substitutes for “donuts.” So a “meme” is a running joke where people do their take on a popular Internet topic. See also “Call me, maybe” or look up any popular YouTube video and you will see hundreds of people with their own versions or spoofs. Now back to explaining Google Plus! Here is pretty much everything you need to know about Google+ for business. If you want to have fun and experiment with other things in your free time, go for it! 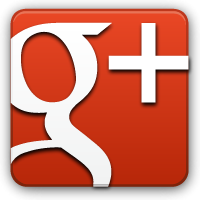 These are the basics and necessities for companies or professional individuals on Google Plus. I am starting with Google Plus because it now includes Google Places’ local maps and it has been incorporated into Google’s search results with the +1 button. You HAVE TO at least create a personal account and your Local page for your business and make sure they are complete. If you want any traffic or referrals from Google, you just have to figure out how to make Google+ work for you. Google has also recently added Events to Google+ so you may be able to use this to invite and schedule some cool things. Hangouts are also a feature included that lets you create or join your own chatroom. You can get a group of people online and all “hang out” together much like a video conference or old school “chat room”. Google+ is cool because you can add people to “circles” and you don’t have to add people back who add you. This allows you to keep some privacy and separate the groups of people in your life and business. Google’s +1 button is basically similar to the “like” button on Facebook. A +1 means you like or are adding your vote of +1 to the topic or website. The more votes you get, the higher the search rankings and the more people see your post. Creating your profile and a local page for your business are pretty simple. Google will guide you through the process and even auto-fill some stuff if you have an account there already. Make sure you claim your local business page, because if you are in the phone book, chances are there is already a listing for you. Follow the instructions to add your page badge to your website. This helps Google link your account and website together and verify official pages for you business. Also, on you profile pages be sure to include links in the websites or contributor categories for all your social media accounts and websites. This helps Google link all your stuff together and it will improve the search results for your business. Finally, start adding people to you circles. The cool thing about circles is that you can pretty much add anyone and as many as you want without getting overwhelmed or over-sharing your privacy, because you can sort them. I recommend 4-5 circles: Family and Friends, Customers, Leads, Acquaintances, and referral partners or team members. That way you can share baby pictures or party pics with friends or family and inside information with team members without sharing it with the world. Just know that “public posts” go to everyone. There are no sharing tools or linked accounts with Google Plus yet, so you are going to have to log in and post here separately and update your account on at least a weekly basis. You can visit the help section or email me with any questions while getting started. There are not a lot of people officially on Google Plus yet, but the number is growing very fast because so many people have Google accounts for Gmail, YouTube, and their other services. The good news is you get to be on the cutting edge for awhile, and there are plenty of good account names available. Which is a plus for Google. Stay tuned, over then next few weeks I plan to explain the other social media sites!